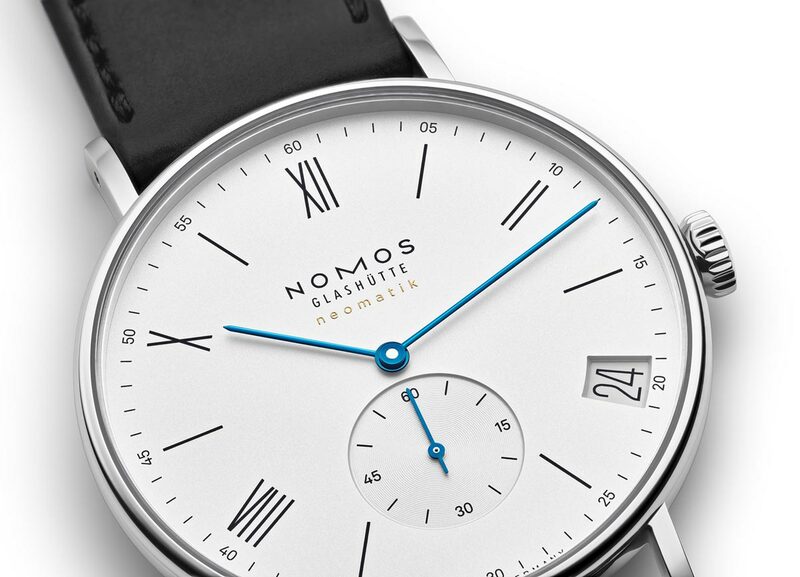 The new neomatik calibre DUW 6101 from Nomos Glashütte, introduced last March at Baselworld 2018, was completely reconstructed in order to integrate a large and legible date that can be set both forwards and backwards quickly and easily. 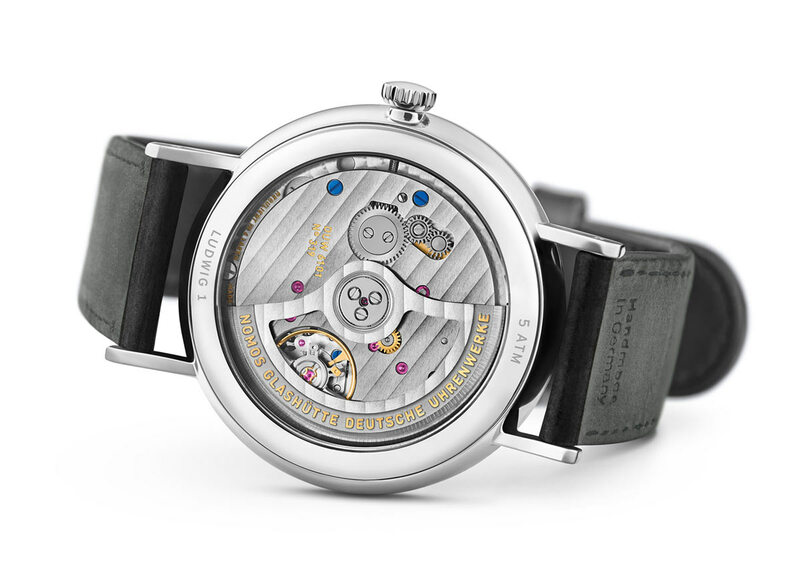 Set around the movement, the date ring leaves great freedom in terms of design. In fact, the three new watches that have been equipped with the new calibre have their own date ring design. We presented the first model, the Tangente neomatik 41 Update last April. 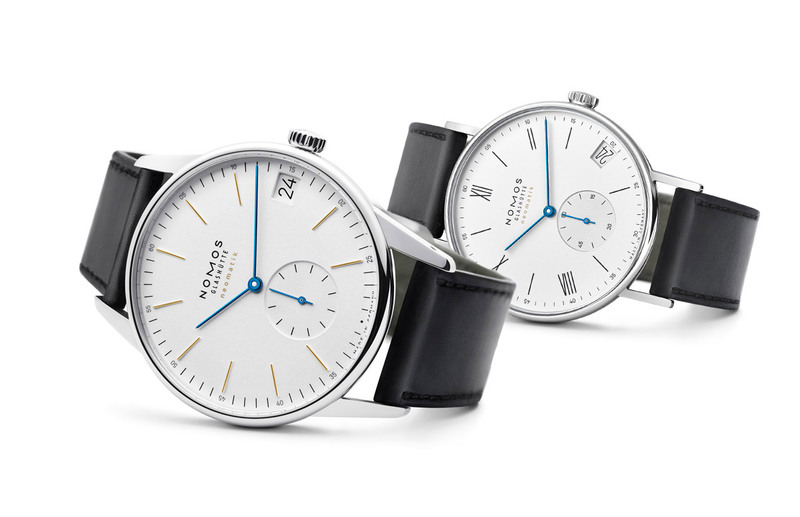 Let’s now discover the other two watches. 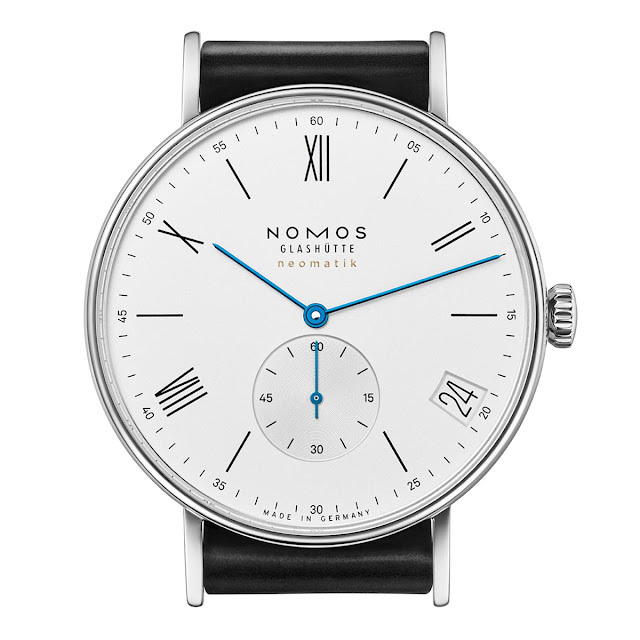 In the Ludwig neomatik 41 date, the date window is placed at the edge of the dial at 4 o’clock, well integrated into Roman hour numerals. 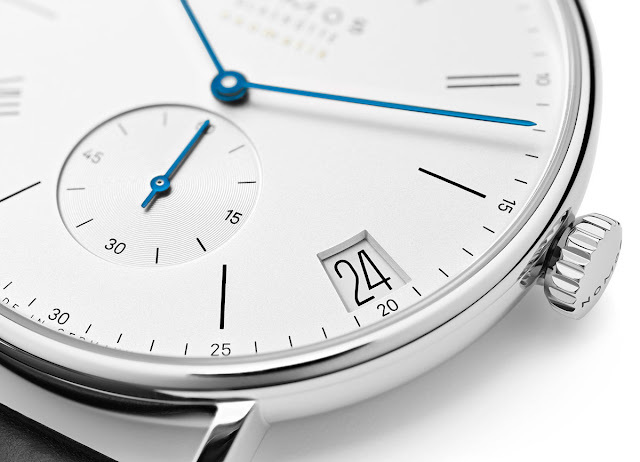 The Orion neomatik 41 date wears a classic date at 3 o’clock with a clean typography. 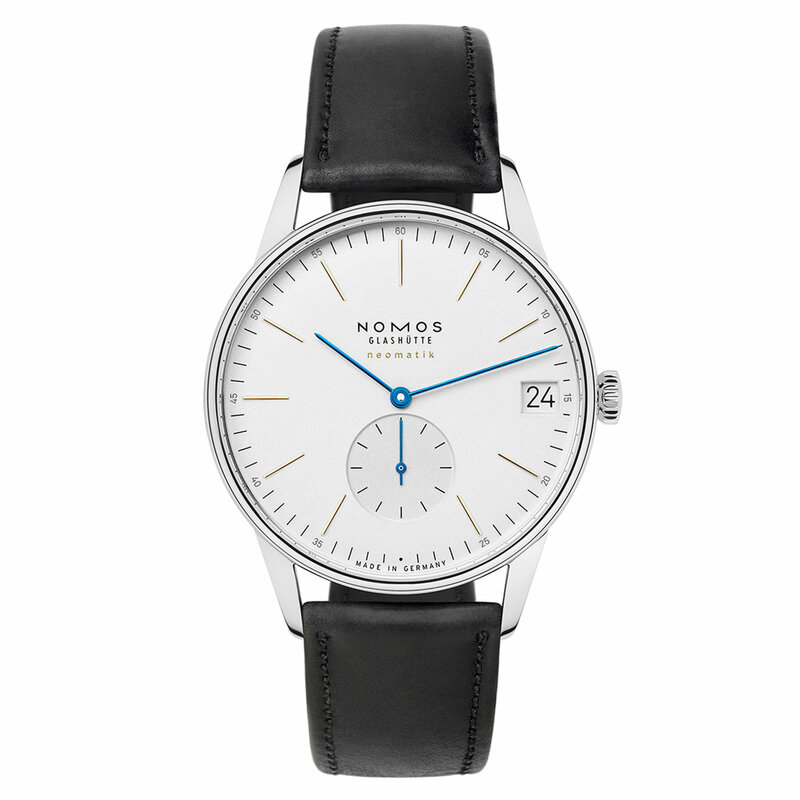 Together with the innovative movement, the two watches share some common features like the size (40.5 mm x 9.35 mm) of the stainless steel case, the white silverplated dial protected by a sapphire crystal with anti-reflective coating, the thermally blued hands and the Horween Genuine Shell Cordovan black, remborde strap. 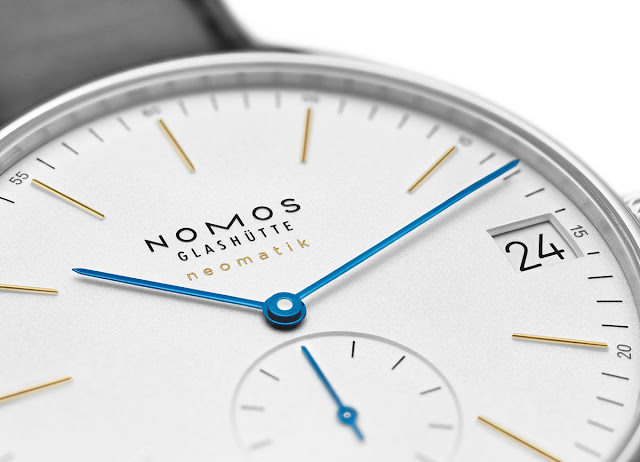 Visible through the sapphire crystal case back, the neomatik calibre DUW 6101 is very thin at just 3.6 mm and characterised by the typical three-quarter plate architecture. Finishes are excellent with Glashütte ribbing, perlage and golden engravings. 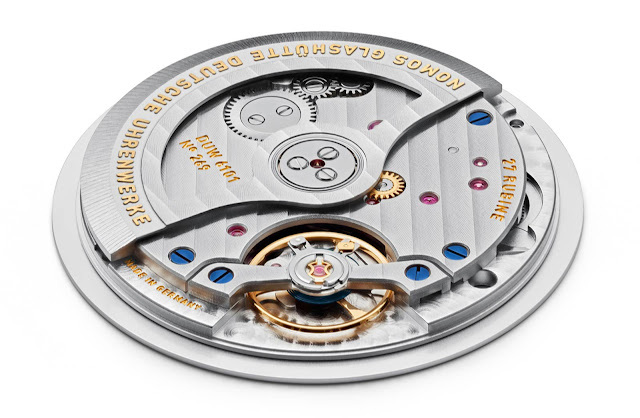 The bidirectional winding rotor is enhanced by gold-plated embossing. Beating at a frequency of 4 Hz (28,800 vph), it guarantees up to 42 hours of autonomy. Both watches are water resistant to 50 metres / 165 feet. Nomos Glashütte Ludwig neomatik 41 date and Orion neomatik 41 date. The Nomos Glashütte Ludwig neomatik 41 date (ref. 260) has a price of Euro 3,140 / US$ 4,000. 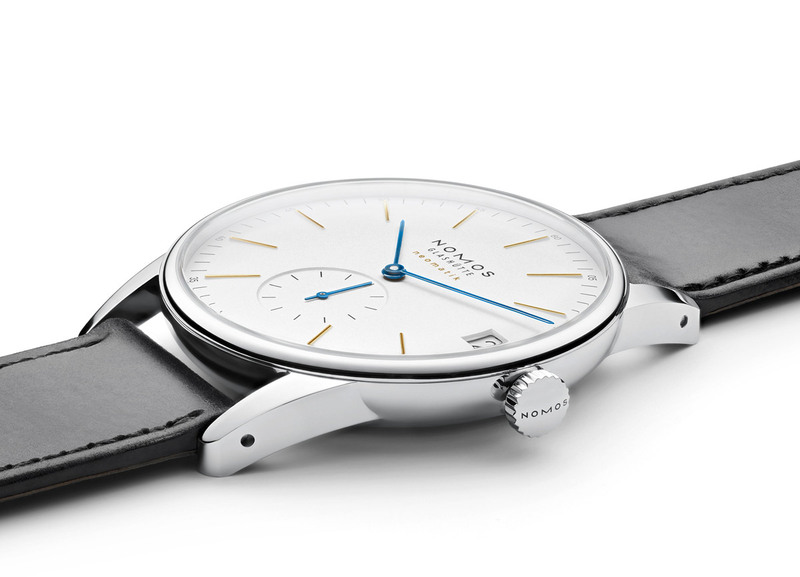 The Orion neomatik 41 date (ref. 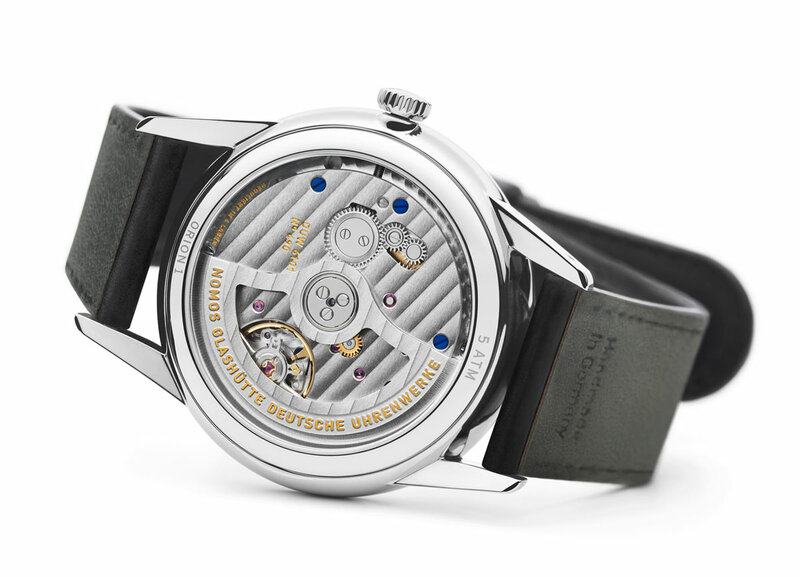 360) is slightly more expensive at Euro 3,300 / US$ 4,200.